Time to get your Bridesmaid groove on! 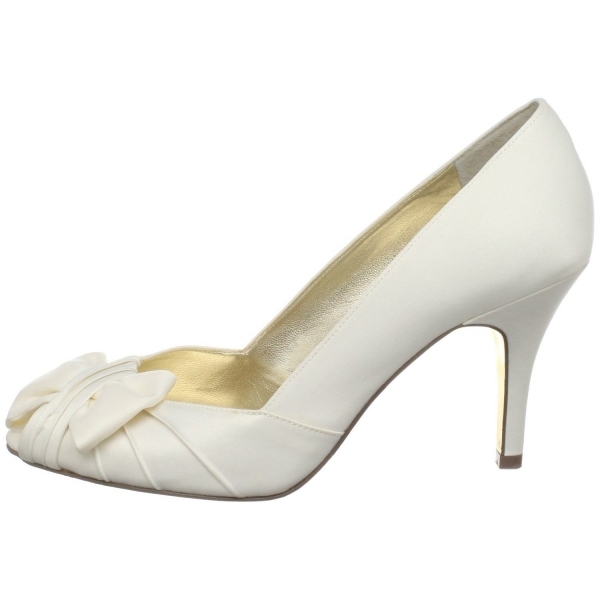 Nina Shoes Forbes Open-Toe Pump in ivory luster is a perfect shoe for elegant events such as weddings, and if your on duty that day, fullfilling your duties as brides maid will be a breeze. Finished in luxurious satin, a pleated sophisticated bow detail, and just a perfect heel height.